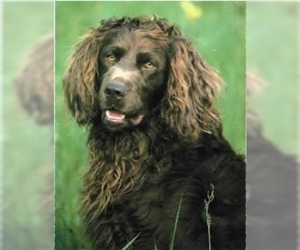 Overview: The Barbet is one of the first retrievers. They are good hunters and do well in colder climates. They make good pets when given enough room to run. 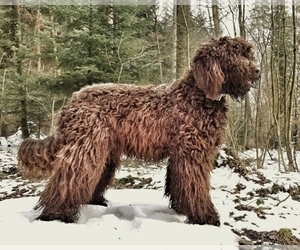 Coat: Long, woolly, wavy, sometimes curly, forming tufts. Long beard, bushy mustache. Character: Barbets are pleasant, intelligent and enjoy playing. Temperament: Barbets do well with children and pets. They are intelligent and like to play. 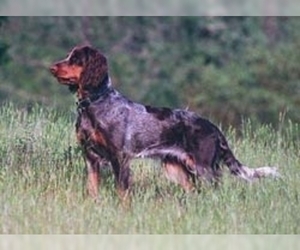 Care: This breed requires regular brushing and grooming to care for its coat. Training: Barbets require consistent training and are intelligent. They respond well to training and can be used for sporting and competition. Activity: The Barbet needs plenty of exercise. Regular playing and training sessions are needed.